Don’t you know the goodness of God leads us to repentance? He has cancelled the curse and commuted our sentence. And redeemed us from the hand of the enemy. His goodness and forbearance and longsuffering. Yes, the goodness of the Father leads us to repentance. Don’t you know the goodness of the Father leads us to repentance? Exquisite and rare; He’s so good. Come join with me: O, taste and see that the Lord is good. He has clothed us with salvation. Let us rejoice in goodness, and declare that only the Lord, our God, is good. Is falling without measure upon the Body of Christ. Favor, favor, favor upon favor. Let us savor each golden moment of the favor of God. As we embark further into the New Year, we will undoubtedly encounter challenges and difficult situations that seem impossible to resolve on our own. The Bible reminds us of God’s unlimited goodness and unlimited favor that reflect His power and strength to turn a seemingly impossible situation into a triumphant victory. 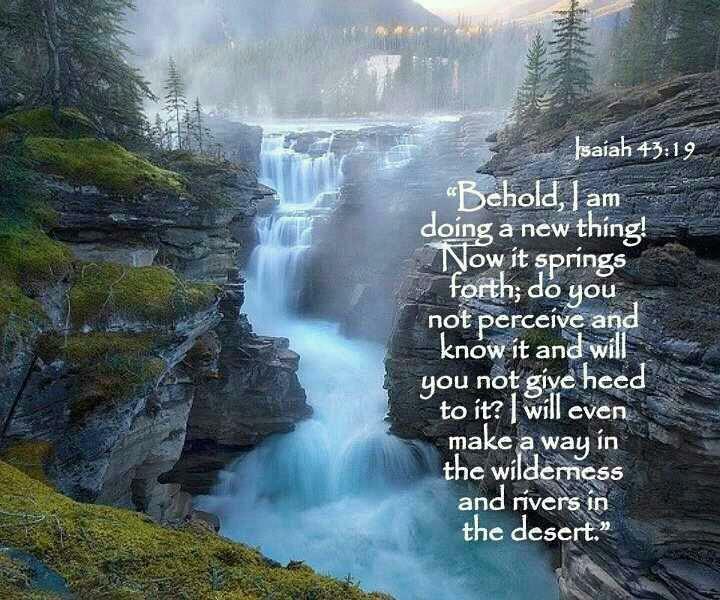 “To do a thing” means “to work, to do, to make, to fashion, to improvise, to create, to produce.” In discussing the word “new” we find that the Hebrew hadas is translated “new” in the sense of being fresh, recent—in contrast to the old or former. In the New Testament the Greek term kainos translated “new,” relates to that which is “unaccustomed or unused, not “new” in terms of time, or recent but “new” as to the form or quality (sometimes translated “fresh”); e.g. 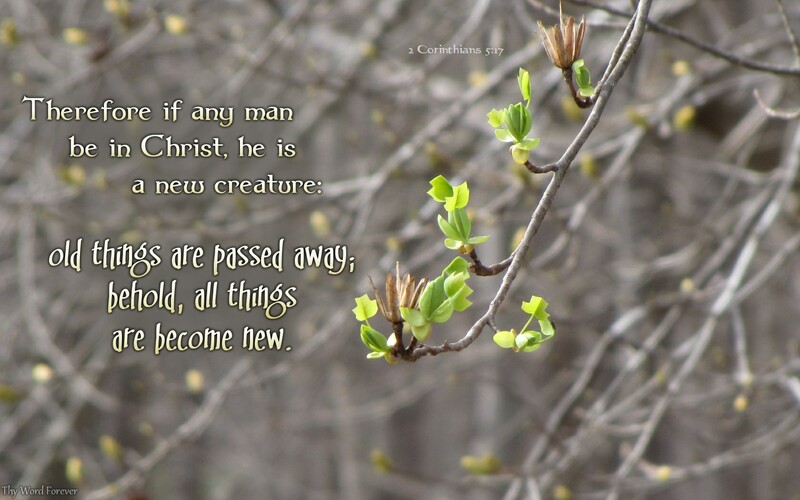 “new tongues” or “new covenant,” “new commandment,” “new creative act—new creation,” or “new man.” To do a new thing is “to redeem, restore, reaffirm, revive, literally, to make new again . . . renew commitment, renew vows,” etc. In Romans 12:1-3 Paul discusses the concept of “the renewing of your mind,” the ongoing process of transformation that takes place in every believer. Eight—Denotes resurrection or new beginning or regeneration or commencement. The eighth is a new first. It is the number that has to do with the Lord, who rose on the eighth day or new first day. By the Gematria, Jesus is 888. It or its multiple is seen in all that has to do with the Lord’s names, the Lord’s people, the Lord’s work. In Hebrew the number eight is Sh’moneh, from the root Shah’meyn, “to make fat,” “cover with fat,” “to super-abound.” As a participle it means “one who abounds in strength,” etc. As a noun it is “superabundant fertility,” “oil,” etc. So that as a numeral it is the superabundant number. As seven was so called because the seventh day was the day of completion and rest, so eight, as the eighth day, was over and above this perfect completion, and was indeed the first of a new series, as well as being the eighth. Thus it already represents two numbers in one, the first and eighth. With the number 16, we note a new beginning which is doubled or established. The new number also follows 15 which is composed of multiples of five, the number of grace, which represents a triple expression of “grace upon grace upon grace.” This year represents another new cycle of a new beginning (8 x 2).